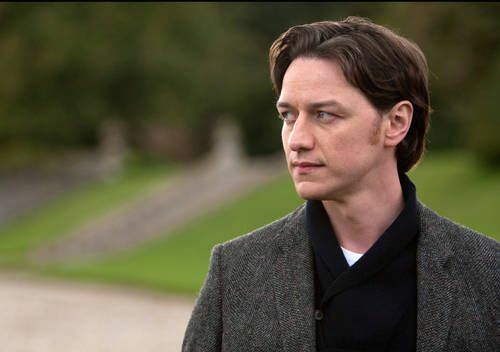 James McAvoy has signed on to star opposite Jessica Chastain in one of the most intriguing projects in development right now, The Disappearance of Eleanor Rigby. It is a double feature that explores “how a married couple in New York City deals with an emotional, life-altering experience, from two different perspectives.” The perspective of the husband (McAvoy) is seen in The Disappearance of Eleanor Rigby: Him, while the story of the wife (Chastain) is told in The Disappearance of Eleanor Rigby: Her. (It used to be His and Hers, back when Joel Edgerton was attached to play the husband.) This ambitious project is the feature debut of writer/director Ned Benson. Hit the jump for the full press release. Golden Globe®-nominee James McAvoy (Atonement, X-Men First Class) will star opposite Academy® Award-nominee Jessica Chastain (The Help, The Tree of Life) in the double-feature film project for Myriad Pictures, The Disappearance of Eleanor Rigby: Him and The Disappearance of Eleanor Rigby: Her. Ned Benson (In Defiance of Gravity) wrote the two scripts and will direct both films. The love story explores how a married couple in New York City deals with an emotional, life-altering experience, from the two different perspectives of the husband, Conor, (McAvoy), a restaurant owner, and of the wife, Eleanor, (Chastain), who goes back to college. Cassandra Kulukundis (A Late Quartet, In Defiance of Gravity) is producing. Kulukundis is also casting director (There Will Be Blood, Shattered Glass). James McAvoy received a Golden Globe®-nomination for his performance opposite Kiera Knightley in the critically acclaimed film, Atonement. Other film credits include The Last King of Scotland with Forrest Whitaker, The Last Station with Helen Mirren and most recently in the box office hit X Men: First Class. He will next be seen starring in the new Danny Boyle film, Trance, in Eran Creevy’s, Welcome to the Punch and in Jon S. Baird’s, Filth. James is represented by UTA and United Agents. Jessica Chastain was nominated for an Academy® Award for her performance in the 2011 critically-acclaimed drama The Help. The same year she appeared in The Debt, with Helen Mirren and Tom Wilkinson, and in Terence Malick’s The Tree of Life. Jessica stars with Shia LaBeouf and Guy Pearce in The Weinstein Company’s Lawless, and the actress is in Cannes this week promoting the film. Jessica is also starring in Kathryn Bigelow’s new film Zero Dark Thirty.